This pattern is a 30 page PDF file (1.5MB) which is available for instant download once your order is completed and payment submitted. 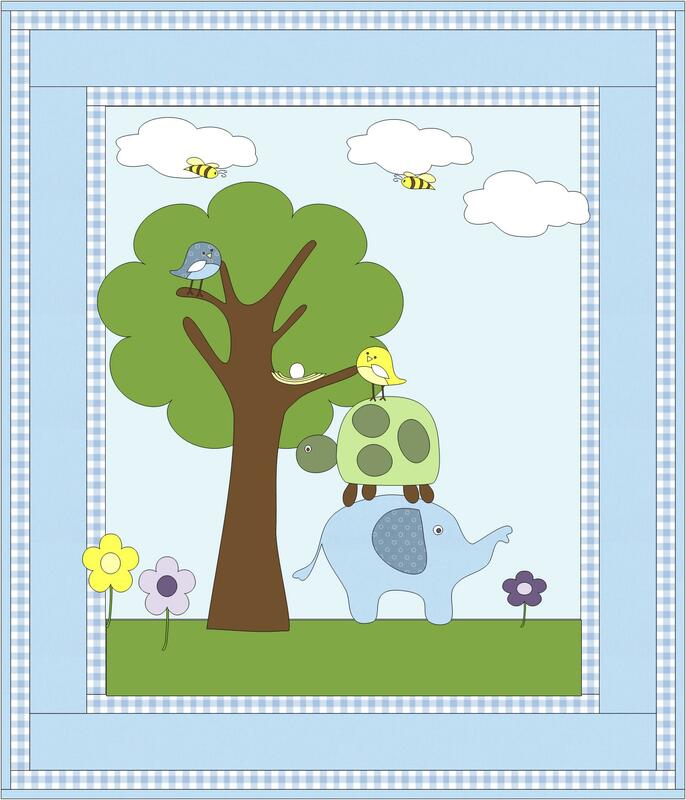 The Elephant and Friends Baby Quilt Pattern contains color-ways for both a boy and a girl. 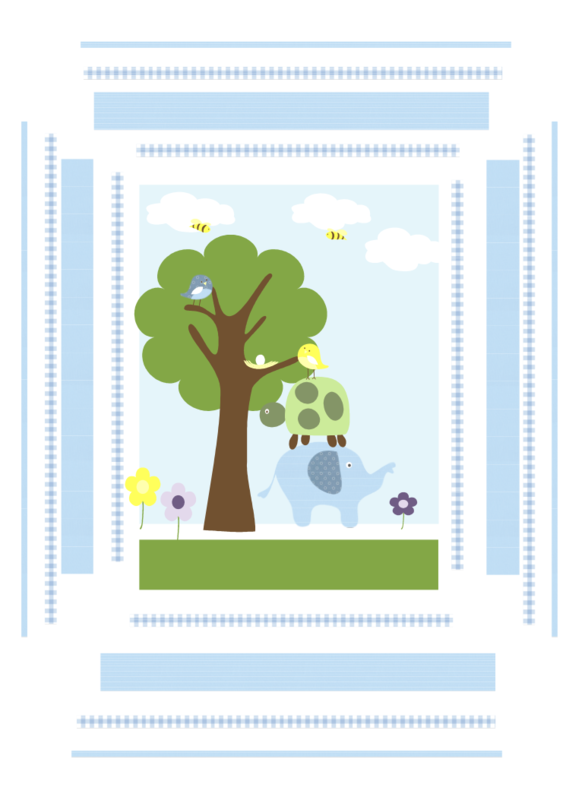 This pattern makes a darling baby quilt featuring animal and nature appliques on the center block. The finished quilt measures 36" x 42". 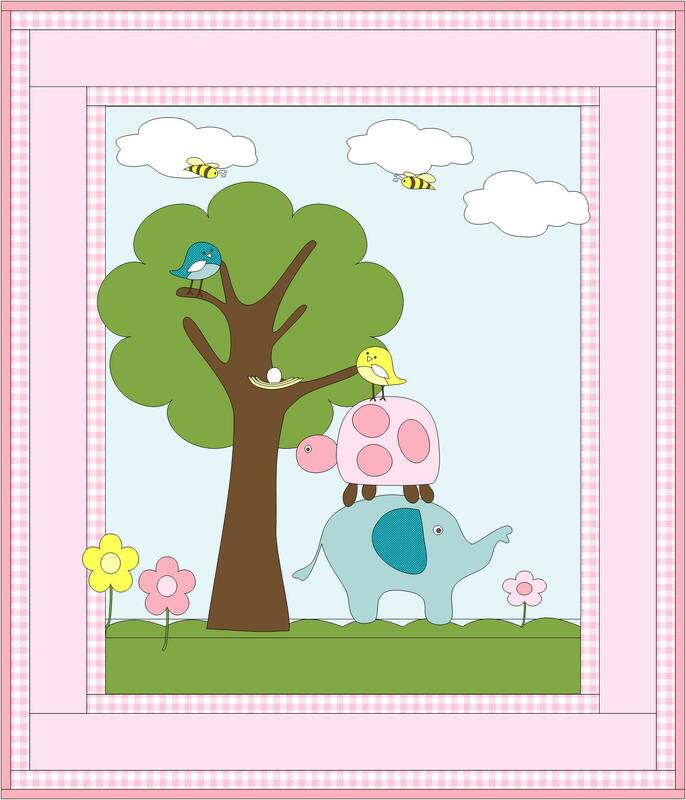 The pattern contains fabric yardage charts for both a blue theme boy quilt and a pink themed girl quilt, as well as the templates for the tree, elephant, turtle, birds, bird nest, flowers, and cloud appliques. Additionally, a scallop edge template is included for a different grass area in the baby girl quilt. While the fabrics shown are for a baby boy or a babygirl, just change your colors and it will be easily suited to any particular nursery theme.